Samra Rose is in trouble. Living in a colony floating high above the clouds, she’s been far away from anything resembling an adventure, but when aerial raiders carry off her home—with her inside—she gets more excitement than she ever wished for. Her best friend, Kipling, and a Grounder boy with a skyship will take to the air in pursuit, but all three will face dangers they’ve never imagined. The aerial ocean is a turbulent place full of deadly creatures and cutthroat pirates. If they hope to survive, they’ll need to fight for their place in the Heights and confront those who have already claimed it. Follow the adventures of three unlikely heroes as they abandon the safety of home to seek a destiny aloft in the clouds. 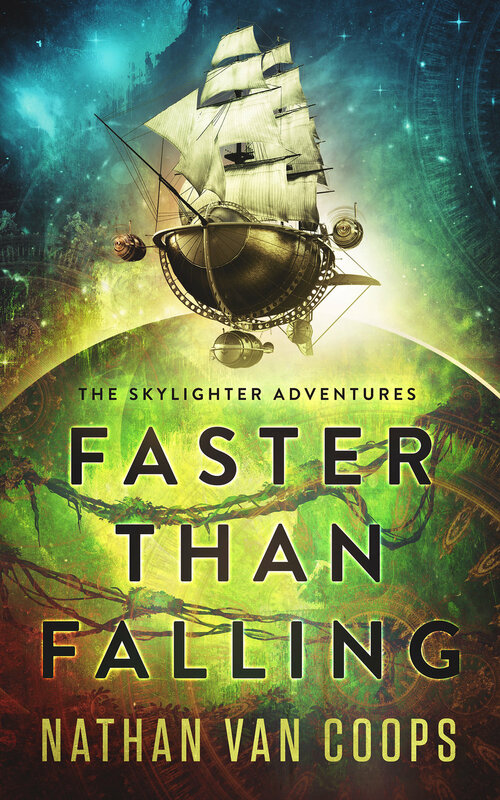 Fans of grand science fiction universes, steampunk airships, and daring pirate adventures will discover a thrilling new world of action, villainy, and friendship.